Indulge in the taste of strawberry and raspberry fillings paired with cream cheese, that is set on perfectly baked crust made from premium quality cocoa and butter. 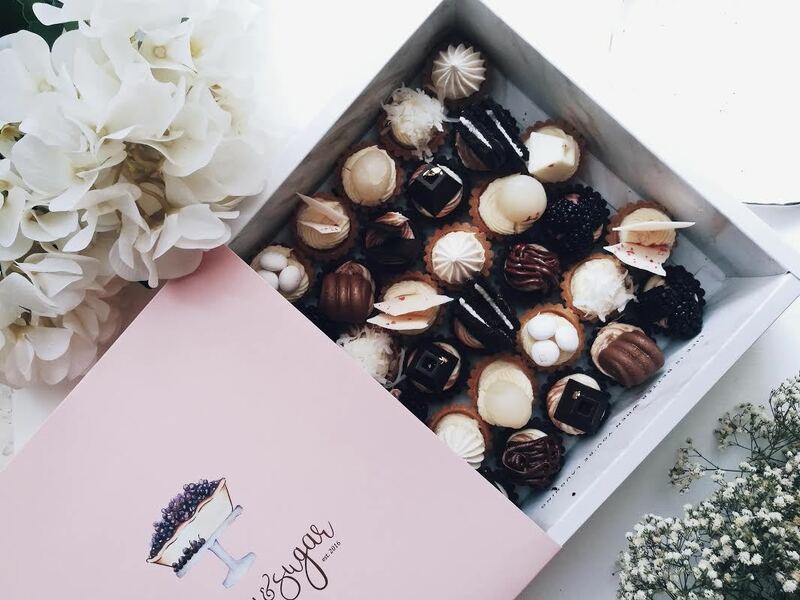 The box is topped with awesome toppings such as Coffee, Oreo Cookies, Blackberries, Fig, Hawaiian Coconut Shavings, Longan, Chocolate Ganache, Salted Caramel, Meringue Kisses, Chocolate Pyramid, White Currant and Edible Flower. With such an array of toppings, some of the toppings may change due to seasonal reasons and availability. Our Mini Cheese Tart is served best at room temperature or slightly chilled. The dessert can also be stored in the refrigerator for up to three (3) days after the purchase date. To preserve its freshness, please use a plastic wrap to wrap the box or transfer it into an airtight container.